Valentine's Day is right around the corner! If you are looking for skincare or beauty gifts for a special someone, or want to treat yourself to some well-deserved essentials, head to The Plaza Beauty! 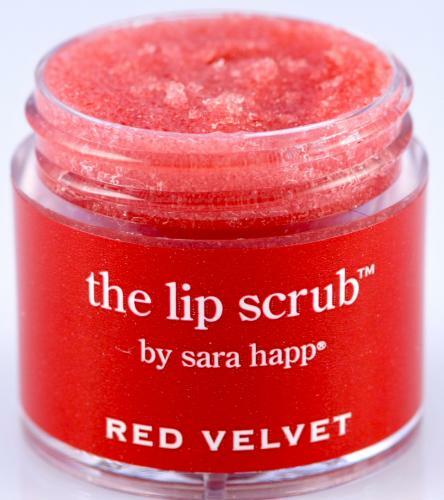 At the top of my gifting list is Sara Happ's Red Velvet Lip Scrub, $24. It's a Holiday 2010 limited edition, so this won't be around that much longer! I was immediately hooked on it when I tried it, especially since red velvet is my favorite cupcake flavor. 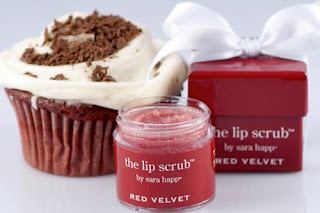 This lip scrub is actually edible, and I found myself tasting it while applying. It tastes good, smells sweet, and does a great job of exfoliating your lips and leaving them soft, smooth and kissable! 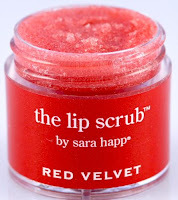 I'm a big fan of Sara Happ's other products - The Lip Slip and Vanilla Bean Body Scrub. Creating a set with all three products would be the perfect gift! Looking to try some new makeup? Check out this line from Youngblood Mineral Cosmetics. Youngblood products are oil free, fragrance free, talc free and paraben free. It's ideal forall skin tones, types and conditions. The foundations have a lightweight feel and contain a natural sun protectant. They use recyclable materials for their sleek packaging and never test their products on animals. Along with the makeup, I can't wait to try the Eye Impact Quick Recovery Eye Cream ($58), Mineral Primer ($41) and Mineral Radience Moisture Tint ($43). Egon Schiele Cosmetics is inspired by the great art of the famous Austrian Expressionist, Egon Schiele. The colors compliment the lustrous hues of Schiele's paintings and drawings. The Cheek and Lip Hue ($24) two-in-one cheek and lip color is the perfect multi-tasking gift. It's packed with mango butter and camellia oil. Caron's Venitienne Loose Powder ($45) is scented with Caron's classic Bulgarian rose, and doubles as a fragrance. Dr. young promotes "Healthy Beauty" through their skincare line consisting of day, night and special care products for dry, oily and combination skin. I'm always looking for skincare products that are different from what I am currently using, that may be more beneficial for my skin. My top pick is the Camellia Deep Cleansing Oil, which dissolves make-up and residues. I'd also like to try some the new products in the Anti-Pore Line, including the Sebum control & Soothing Toner and Pore Eraser. Goldfaden is an all-natural, medical grade, dermatologist developed skincare line, formulated with antioxidant-rich Organic Red Tea. I can't wait to try the Daily Scrub Red Tea Infused Daily Exfoliant ($65). Miriam Mirani Vie d'Amour Women Eau de Parfum is infused with Bergamot, Turkish Rose, Jasmine and Orange Blossom, leaving a lasting scent of Vanilla-Bourbon, Oak moss and Sandalwood. This gift set at The Plaza Beauty is packaged with a mini bottle of wine.